BioWare’s Anthem did not turn out great. There’s room for improvement – as there always is with a game driven by online features – but a troubled development cycle seems to have brought the title down every step of the way. That’s been reflected in Anthem’s scores, including our own review, but it seems BioWare is learning from its mistakes. For example, Dragon Age 4 is being built on top of Anthem’s codebase. You might wonder how building on top of the base of a troubled game would help, but a big part of the problem with other recent BioWare games is that they’ve tried to reinvent the wheel every time. The idea is to keep prototyping until developers find what’s fun and decide on a vision for the game they’re making. For Anthem, that kept BioWare’s developers caught up for years in deciding on things like whether or not the game should have flying. Under Casey Hudson, who returned to BioWare in the middle of Anthem’s development, the next Dragon Age will build on the existing tech used for Anthem. 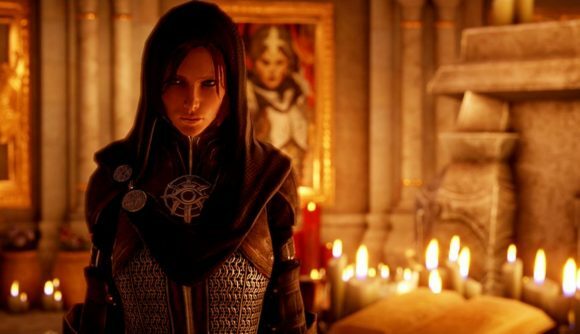 We’ve been hearing about Dragon Age 4 for years now, though it seems the game’s current form has little to do with whatever we heard about back then. Kotaku reports that development on the game was essentially rebooted as BioWare went all hands on deck for Anthem. The Dragon Age 4 release date is certainly a long time off, but BioWare’s Edmonton studio is now focusing on the title, as the Austin studio takes on the work of continuing live development of Anthem. We’ll have to wait and see how the lessons BioWare has learned will shape this next game.